Our CHC33015 Certificate III in Individual Support is the most up to date qualification available for individuals wanting work as a support working in an Ageing Environment. Study the most up to date qualification in a supportive and caring environment. The trainers at Aged Care Training Services are passionate about making a difference to the lives of others particularly the elderly. This passion also extends to our students who have access to personalised support through their trainer which is a key component in developing the necessary skills required to deliver Individual Support. Demand v Supply for Aged Care services is reported to require ongoing recruitment to meet the care demands and to continue with the current ratio of aged care workers to people aged 85 plus (McCrindle, Community Services & Health Industry Skills Council Source: ABS, McCrindle). 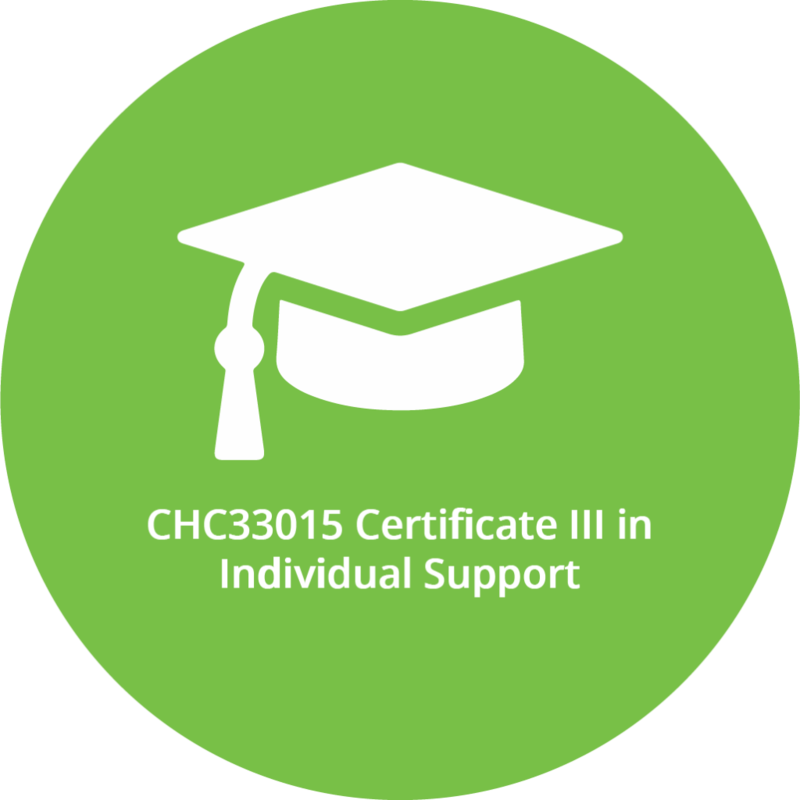 CHC33015 Certificate III in Individual Support is a nationally accredited qualification and an industry endorsed program which has been created to provide training for people who are eager to gain employment as an aged care support worker. Full-time, includes class contact of 12 hours per week and 16 hours of self paced learning. 8 – 18 Months depending on a person’s prior experience. As part of your CHC33015 Certificate III in Individual Support course, there is a minimum of 160 hours of work placement required. Placement is a great opportunity to put all your knowledge into practice, and experience what it is like to be a real carer. While you are on-the-job training you will be supervised and guided by experienced professionals who work at the facility and you will have scheduled visits from your trainer. This will give your trainer an opportunity to observe your competence to perform tasks at the standard required. Aged Care Training Services will arrange Practical Placement for eligible individuals! We always aim to place individuals in a facility that is close and convenient for their individual needs. Please Note: Practical Placement positions are at the discretion of the facilities availability and criteria. When individuals are attending any Facility for Practical Placement they must wear a student uniform at all times. Aged Care Training Services will supply you with a polo shirt and a name badge. Aged Care Training Services will arrange your placement for you! We work with a number of excellent facilities in the Western Australia regional areas. When we are arranging placement for you we always try to get our students into the most convenient location to you. Students need to be available for shifts from Monday to Friday, 7am or 9pm. There is no weekend work required. Plain black pants or slacks. No denim, cargo pants or track suit pants. This is at your own cost. Black enclosed comfortable footwear. Eg: similar to a school shoe or a nursing shoe. This is at your own cost. 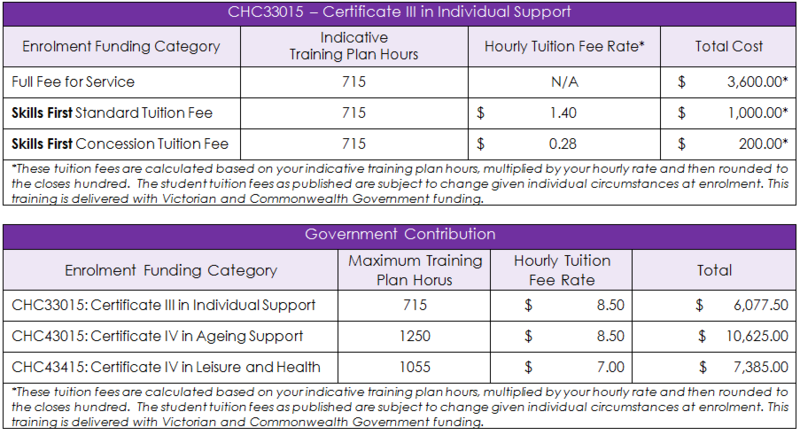 into CHC33015 Certificate III in Individual Support (Ageing). For entry into this course you will require adequate language, literacy and numeracy skills in English that allow you to read and interpret information, understand training, demonstrate leadership skills as well as provide and follow clear instructions, and prepare written assignments and documents for assessment. To ensure we meet your learning needs we conduct a LLN before you enrol. No need to be discouraged about this as the LLN is a great tool to allow us to identify any extra support you may require. We deliver this course in Victoria, metro & regional areas. All training is delivered by us! We do not have third parties delivering on our behalf. Our legal name is Century Group Pty Ltd. We trade under the names of Arrow Training Services as well as Aged Care Training Services. If at any point time you are not satisfied with us, please feel free to contact us for assistance. Click to view to complaints and appeals. Skills First provides an opportunity to access Victorian and Commonwealth Government Funding to complete a nationally recognised qualification.This training is delivered with Victorian and Commonwealth Funding. Students with disabilities are encouraged to apply. Eligibility criteria applies. This training is delivered with Commonwealth and Victorian Government funding. An eligibility criterion applies. If you consider yourself to be dedicated and passionate about caring for others, want to understand ageing experiences and quality care then you should contact us today to enrol! A $250.00 application fees covers an initial assessment of RPL requirements. Further assessment (if applicable) will be charged at $60.00 per hour. Please note that approval from the individual will be sought prior to commencing any further RPL assessment.